A Dutch breeder developed the Seychelles pole bean to produce long (5-6”), uniform, straight stringless pods with an excellent flavor. 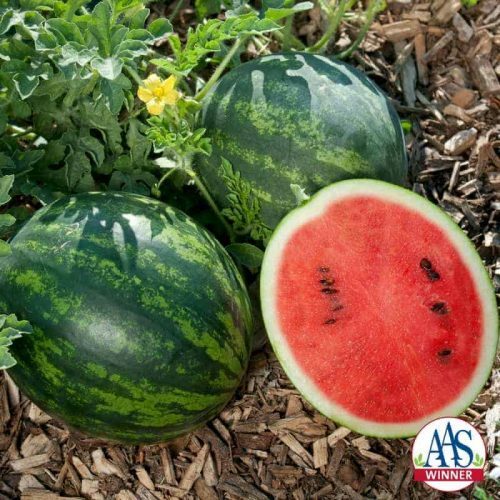 This AAS Winner produces high yields in multiple crops over the growing season and is easy to maintain. 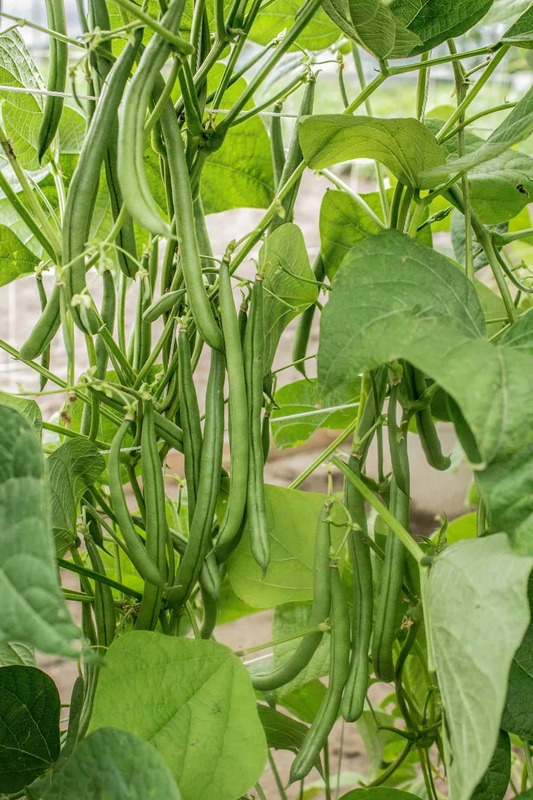 Whether grown in the garden or in a pot on the patio, Seychelles grows 7-9 feet tall on vigorous dark green vines and should be grown on supports, thus, its classification as a pole bean. 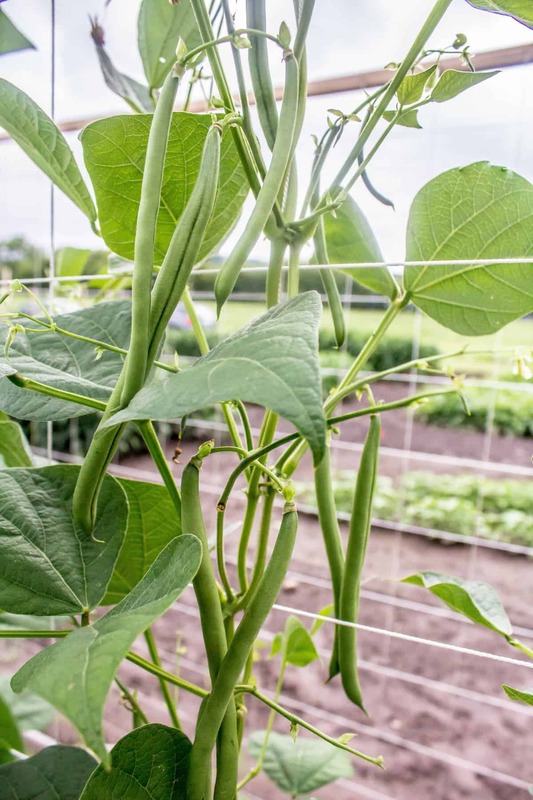 Foodies, vegetarians, and vegetable-lovers will all enjoy this productive bean that is fast-growing and early-to-produce crisp delicious pods. 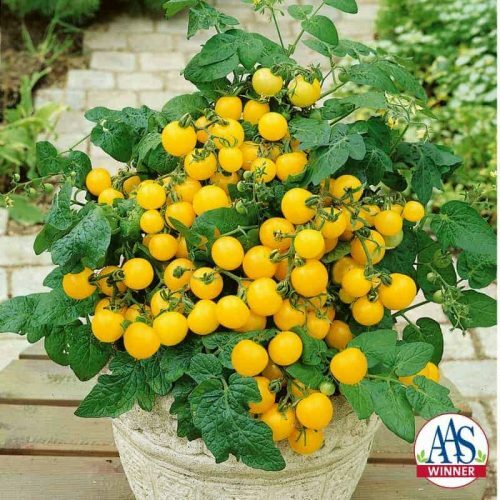 Breeder: Bakker Brothers/Pure Line Seeds, Inc.
Seychelles does well on a 5 to 6 foot tall trellis or a container placed near a patio fence or with proper staking. 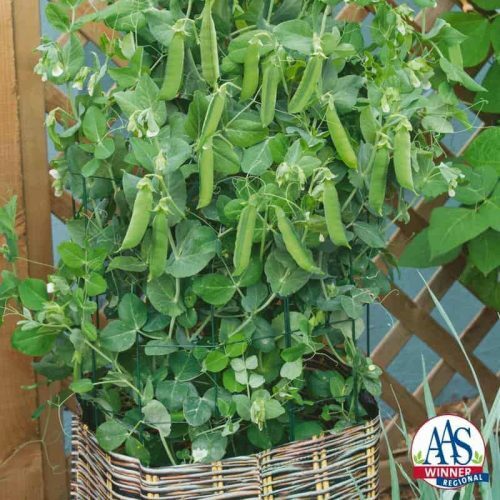 Pure Line recommends to trim any growth above the top of the trellis or staking to promote larger bush habitat and pod set on the lower part of the stem. These pole beans need a little help finding the supports, but once located, they do well. Very tender, high production, easy to pick. This is my first time growing Seychelles pole beans and I am so glad I made room in my garden for them. They have now become my new favorite bean to grow because they produce fantastically and taste amazing. It has had good resistance to pests and diseases and I can see there are many more beans to come through the season. 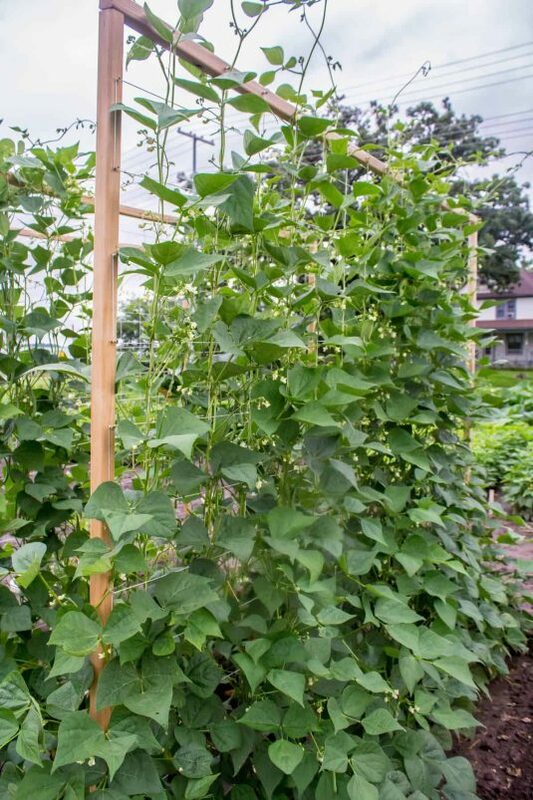 As a former catalog manager for Burpee Seeds and a former executive director of All-America Selections I found the performance of Seychelles pole snap bean so satisfying I think it makes all other pole snap beans AND bush snap beans OBSOLETE because it yields its first crop as early as any bush snap bean that I grew and it continued producing heavily all season until fall frost with slender, dark green, delicious French-filet type beans that I found to be tastier than older varieties of pole snap bean, such as Kentucky Wonder and Blue Lake. 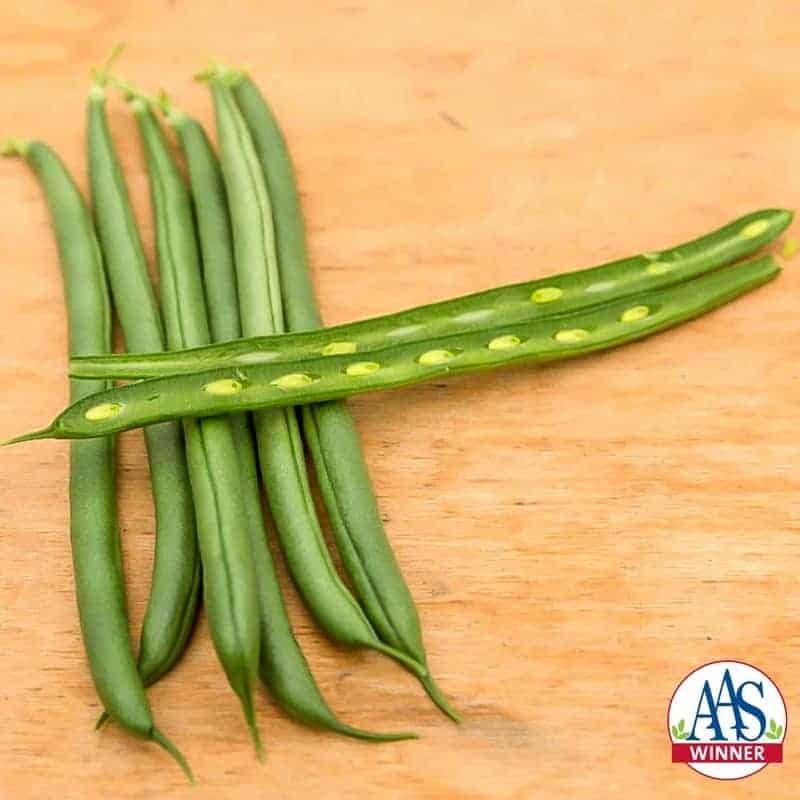 It is space saving because a single plant of Seychelles occupies no more space than a bush snap bean and it produces more than 10 times the yield after other bush snap beans have finished bearing. Moreover, the vines are not heavy like Kentucky Wonder and needed only light supports to keep the vines growing skyward. I rate this AAS winner in the same league as the Sugar Snap pea and Bright Lights chard as a milestone breeding achievement. We would like to extend to you our most sincere apologies regarding your dissatisfaction with Seychelles and we understand how frustrating this can be. We have a high standard of quality our judges follow across the country and your purchase is no exception. But, just like any crop, many factors can cause unusual effect to a plants growth and production. This is by far the best pole green bean I have ever grown. Flavor, outstanding. Production, outstanding. It is uniform and stringless to perfection. Pick, cook and eat. I love that I planted this in May and come mid September I am still harvesting handful after handful. I am growing them in containers and the ground. This will be the only green pole bean I grow. Love it! 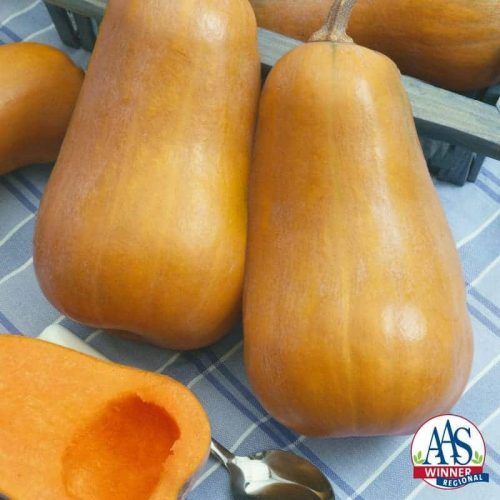 Not to mention very good resistance to pests and diseases. I used peppermint oil regularly as my only spray. I am in Maryland Zone 7. Usually your winners are pretty good but I can’t understand how these beans ever made the cut. Terrible climbers, tough beans before they became mature and low output , all of this made me abandon them and wishing I had not wasted two poles on them . If I could give them any credit at all, they were fairly early to produce compared to blue lake pole beans, a true winner.